Google has released an updated version of the Google App, which brings with it some new changes for the Google Now Launcher. If you have the launcher installed along with the latest version of the Google App (5.3.19.19), you will notice that the app drawer now looks similar to the single page scrolling list on Marshmallow builds (or older versions of Android prior to 4.0, for those who remember). Another neat feature is that you can now press and hold on the app drawer button on the homescreen to brings up search. You can then type the app name to find it instantly, instead of scrolling through the list, saving even more time. 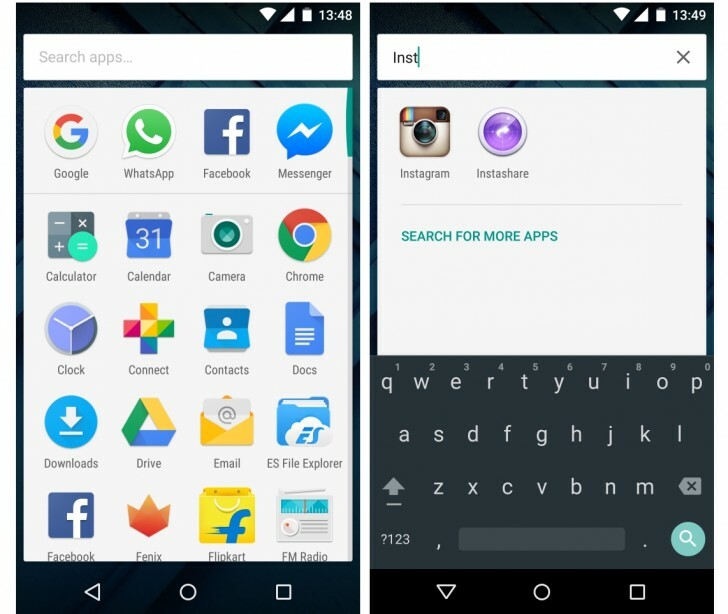 Although this functionality was always present in the search widget, the apps were often buried under the Google search suggestions, so this makes it easier to access. The update is rolling out now on Google Play. Or you can grab the APK from here.